We have changed our dates for 2008 and hope for an even bigger entry of classic commercials next year over the weekend of 19-20th April at the Civic Centre & Country Park in Pontllanfraith, near Caerphilly in South Wales. We plan a Black to Black Road Run on the Saturday from Blackwood to the Black Mountain with a lunch stop in the shadow of this great mountain in Southern Wales. 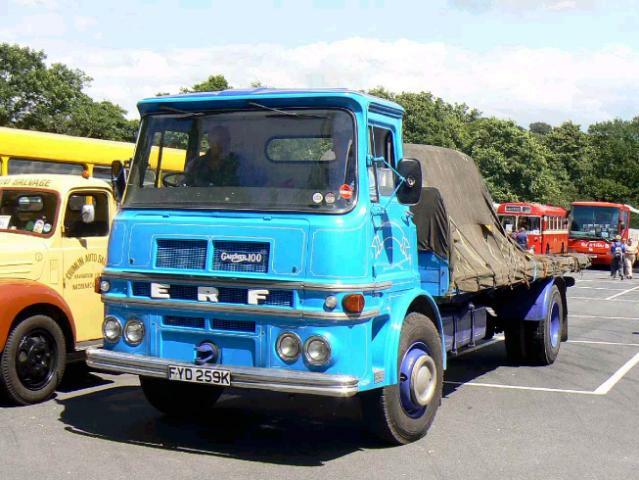 Please visit out website at www.welsh-transport-festival.co.uk for more information and also please post here any suggestions on how we might improve the Festival for vehicle owners. I had contact with the two offficials/mangers/organizers of this autofest since october 2007. Our bands has since been booked to perform on this event. Several times re-confirmed. So we began to to prepare the logistics, travel arrangements, routing of gear and equipment and technical staff, we refused in good faith other lucrative and interesting contracts for gigs which would have had during the same period. Although I cannot state that this is a blatant lie (maybe there is a grain of truth), I think the organizers promissed on their website since last year with a lot of hype many attractions in order to attract exhibitors and visitors to fork out reservation money on entry cards, stall etc... They used our good name to sell better their autofest and then let us standing in the rain. Naturally when you organize a big event you have to deposit securites with the local authorities and fulfill the requirements regarding security, sanitary, parkings, firemarshall and lots of other aspects.. I think they are either bloody amateurs or fancy con men, lurring people to spend money on a project which may or may not take place and under unkown circumstances und unfilled promisses. I urge you to get in contact with the local town council there and ask around if they know at all about this festival and if all garantees have been given and the final clearance from the town council is a fact, before investing your good and hard earned money. I insist: the 2 Directors of this Festival do not behave as professionels, most probably they are definitly not professionels at all, maybe in the worst case they are con men and take your money and run.